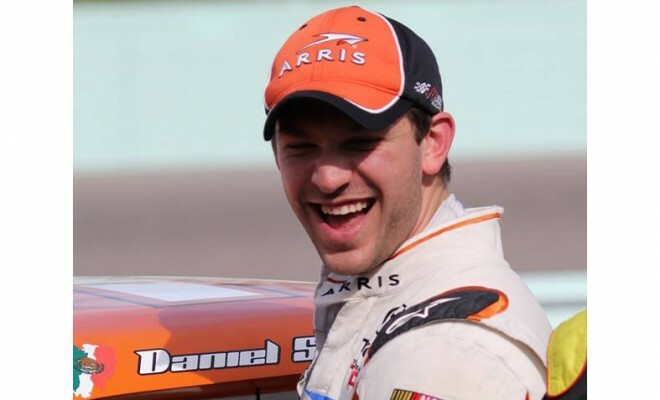 In a year that everyone was saying when, not if, Daniel Suarez would win a race either in the NASCAR Camping World Trucks Series or the XFINITY Series, the stage was set in the season finale in the NSCTW, the Ford EcoBoost 200. 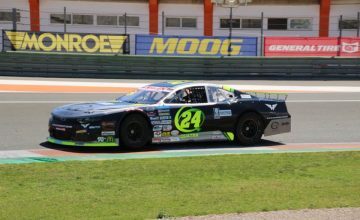 Suarez started the race 6th and it didn’t take long for him to get into the top-3 where he battled for with two-time series champion Matt Crafton and John Hunter Nemechek for the lead during the first-half of the race. Suarez took the lead away from John Wes Townley following a round of green flag pit stops on lap 51. He led for ten laps before surrendering the lead to Nemechek, but not in the way you may think. As the race was closing in on the cross flags, Suarez was working in turn 4 when he went up the track and got loose. He climbed the track and got into the side of No. 1 of Dexter Stacey and went for a spin, bringing out the second caution on the night. After getting repairs, Suarez restarted in the back of the pack, but it wasn’t long until he had to head to the garage following a blown right front tire. He ultimately finished 30th. The year might have ended on a sour note for the Mexican-born driver, but in 13 starts in the Camping World Truck Series Suarez posted 7 top-5’s and ten top-10’s. Suarez posted three runner-up finishes at Dover and both races at Texas Motor Speedway. The three races he finished outside the top-10 in was at Bristol, Martinsville and Homestead-Miami. 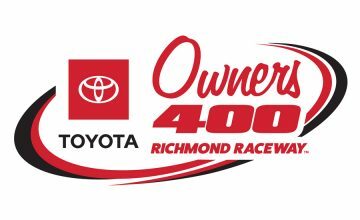 Suarez will compete part-time for Kyle Busch Motorsports in 2016 while running for a Championship in the XFINITY Series for Joe Gibbs Racing. Suarez might not have won a race in 2015, but I would put money down that he will in 2016.